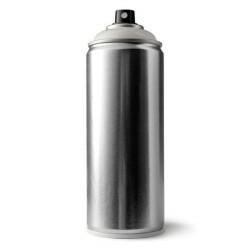 Aerosols have many applications due to there ease of use and versatility. Martin Brown Paints have been supplying quality paints and related products for over fifty years and our aerosol spray paint cans are no exception. Free nationwide delivery and bulk rates and discounts are available on all of our custom mixed spray paints. We specialise in Paints and Aerosols and have been colours experts for over fifty years . Our custom mixed colour aerosol spray cans are available in gloss, satin or matt finishes & are available with an additional 30ml touch up bottle. Did you know "Any colour we provide in aerosols, we can also provide in any quantity of wet paint from 30ml to 5l"